Remember when I blogged about Yasi over at Hello, Gorgeous! in this post? Well, for Christmas, my Dad and Barb saw that I had pinned one of her outfits on my Pinterest page. They actually bought me the pieces to make the outfit and included a print out of the Pinspiration, so that I could recreate the look! It was such a creative idea and I was so jealous that I didn’t think of it! 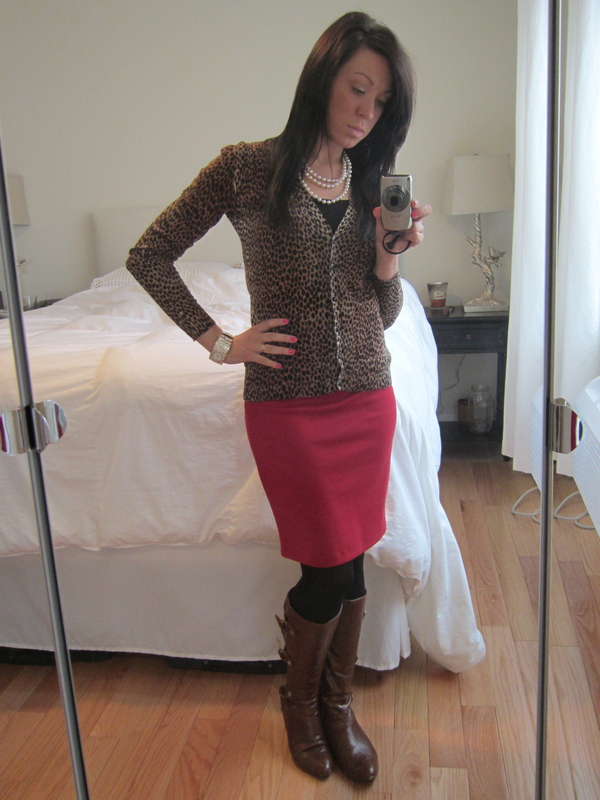 Leopard Cardigan: New York & Company, gift! I got lots of compliments on this outfit, including: “You look spicy today!”, “That’s definitely a Pinterest outfit!”, “I love that you have been stepping it up lately” Love love love it, and love that I can share these recreated look with you!